With more than 300 gardens—some public, others private, many secret—London amounts to one of Europe’s greenest capitals. Towering pink hollyhocks creep over a high brick wall off a busy street; red and green ivy bedecks apartment courtyards. 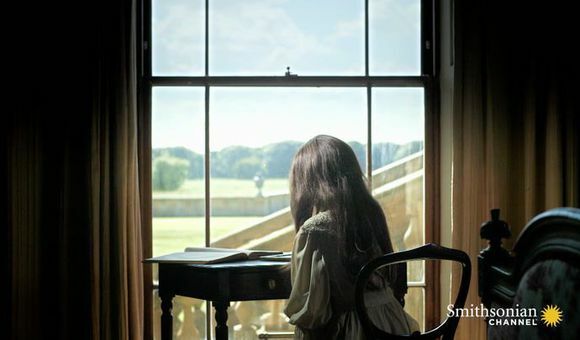 Offices and museums set aside valuable real estate for a patch of green with fruit trees and flowers. 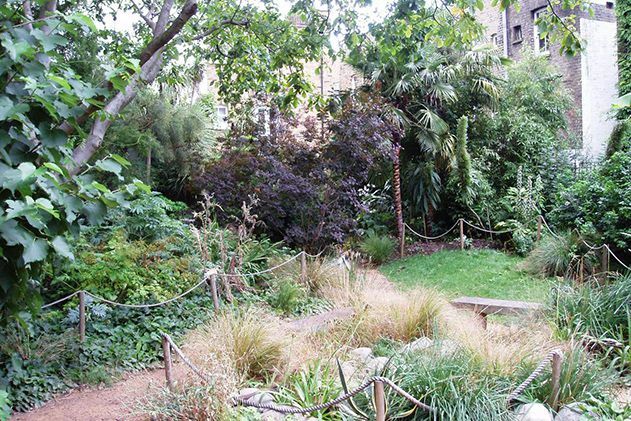 It’s easy to miss such gardens amid London’s sensory overload, even for locals living in their easy reach. London’s Vauxhall neighborhood, for instance, is full of rollicking after-hours clubs and traffic-choked streets and bridges. 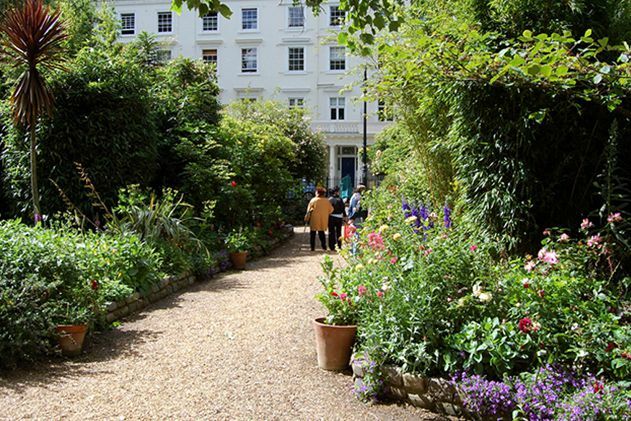 Seek out relief in Bonnington Square Garden, a ragtag oasis of trees, vines, and flowering shrubs in a closed-off square of Victorian townhouses. 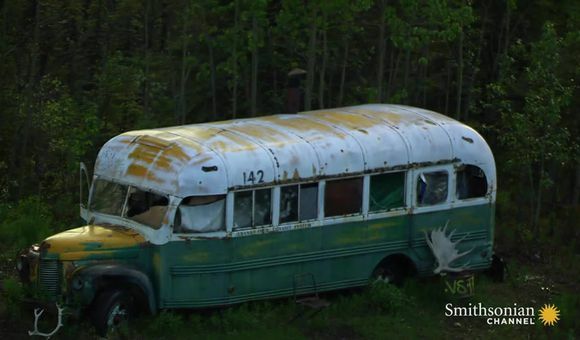 This is a true diamond in the rough. Known in the 1970s as a warren for hippies and squatters, Bonnington Square reflects its eccentric past, planted as it is with a tangle of mimosa, beech, and mulberry trees as well as lavender, giant ferns, low-growing palms—and the appropriately vegan Bonnington Café. 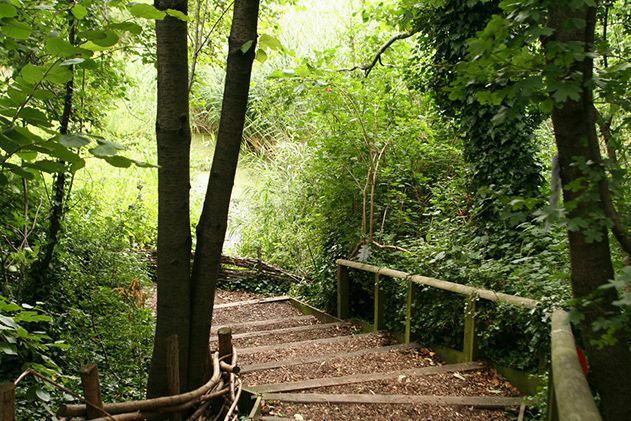 To the north, in the urban thick between King’s Cross Train Station and Regent’s Canal, Camley Street Natural Park hides in the shadow of high-rise offices. The park came under protection of the London Wildlife Trust in 1985, and since then, these two acres have flourished with deciduous woodland, marshland, and flowering meadows. In spring, red poppies bloom, while the heat of late summer spurs kids to go for a dip in the ponds. The park is abuzz with wildlife too; keep an eye out for foxes, hare, butterflies, and marsh-nesting birds like coots and warblers. 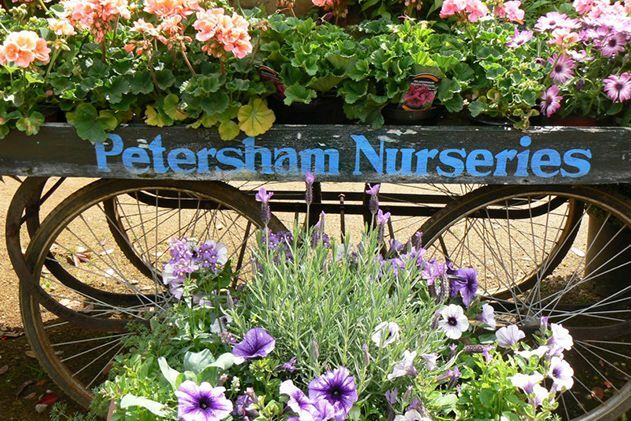 For a true out-of-the-way Eden, set your sights on Petersham Nurseries in west London. Elegant palms, scented geraniums, trailing jasmine and hundreds of roses, vegetables and aromatic herbs grow everywhere in sight. After strolling the grounds, refuel at the on-site café, which offers an evolving menu timed to the seasons and what's growing in the garden—or try the more casual teahouse. You can make a day of it by exploring nearby Petersham Commons, Buccleuch Gardens and the world-famous Royal Gardens at Kew, five minutes by bus. 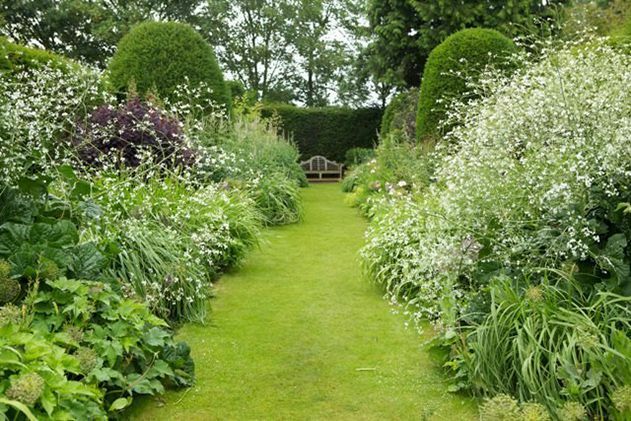 Perhaps the most secretive gardens are those actually closed to the public, welcoming visitors only during the annual Open Garden Squares Weekend, slated next for June 17-18, 2017. Time your trip right for an inside peek at 230 priviate flowering plots, such as the arched wisteria-laden paths of Eccleston Square or the green meadows and Victorian vine houses of Fulham Palace.